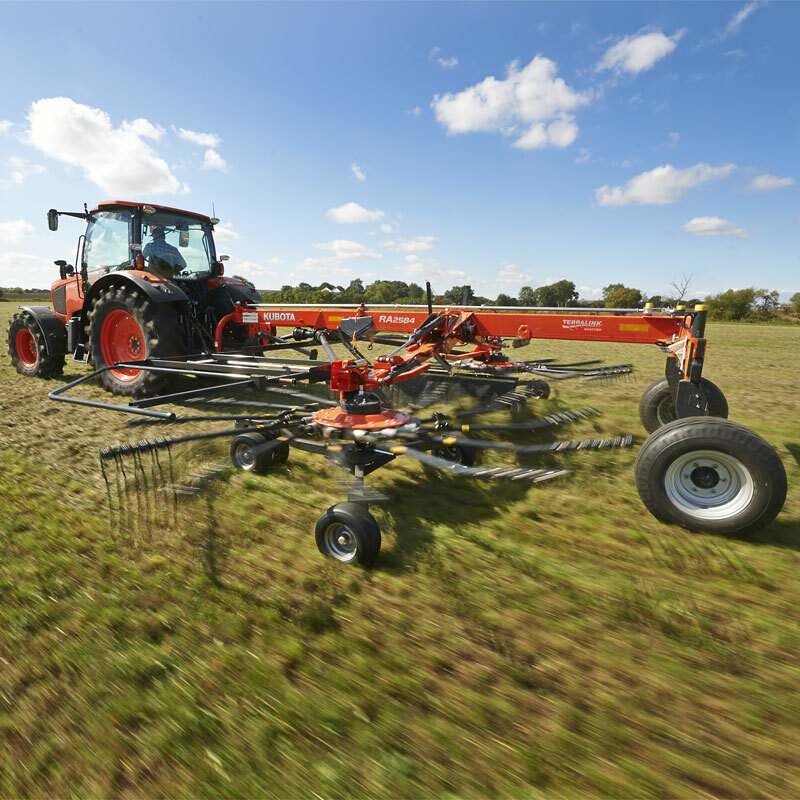 The RA2580, RA2584, RA2590 Hydro and RA2590 Pro are heavy duty two-rotor rakes with working widths up to 8.0, 8.4 and 9.0m. 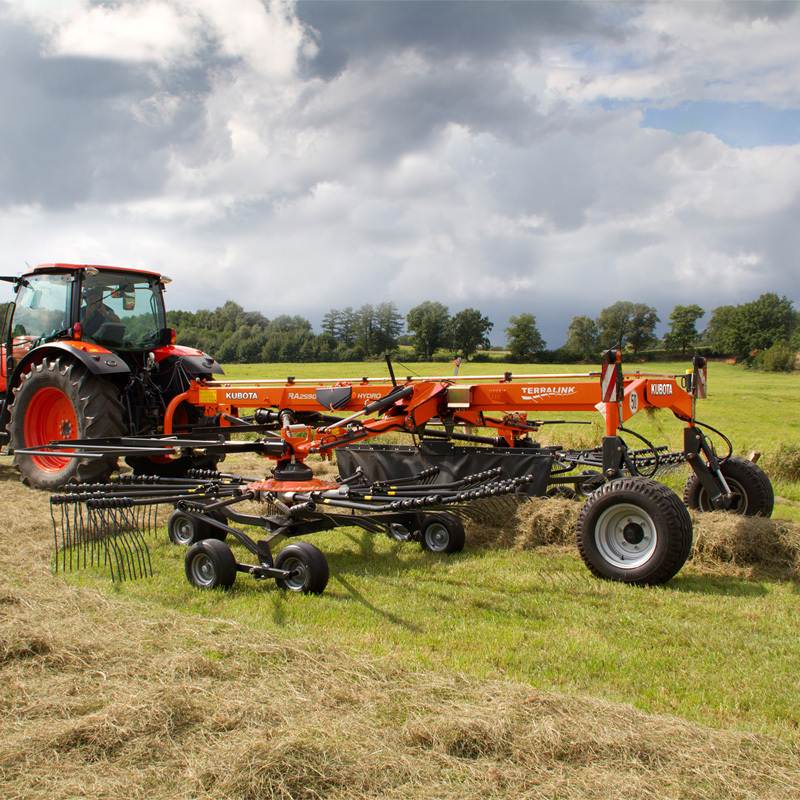 They are designed for the toughest conditions and feature a high performance oilbath gearbox and a strong carrier frame. 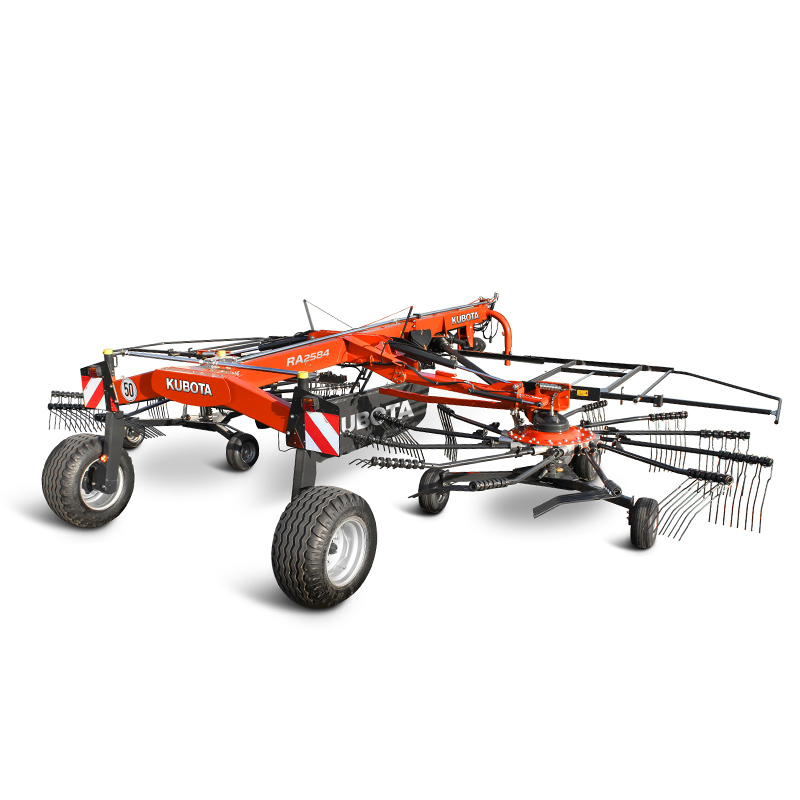 The hydraulically adjustable working and swath width and ability to make sharp turns of up to 80° are important features of these rakes. 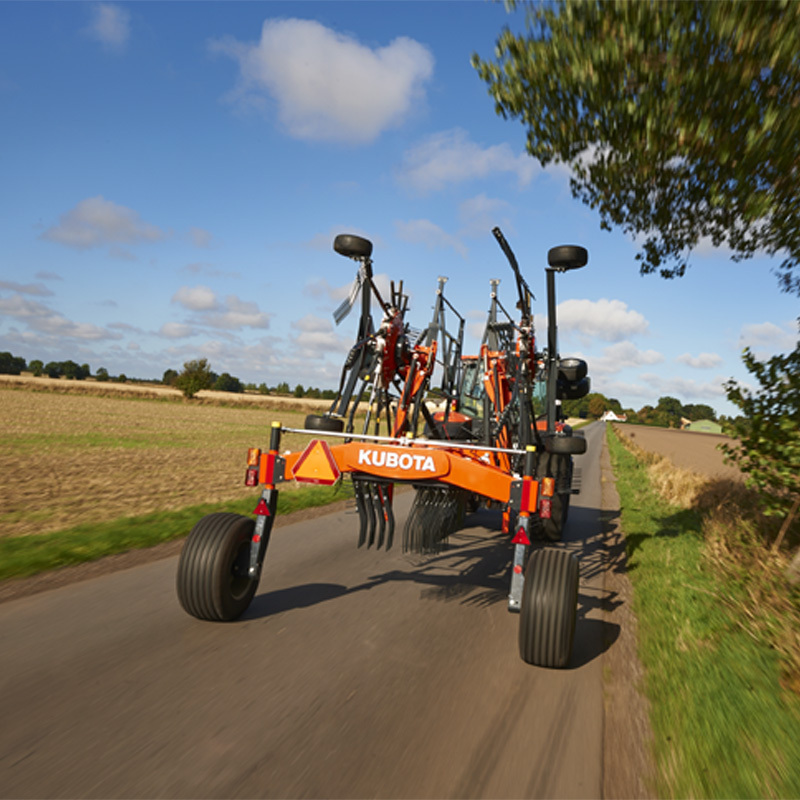 Due to the Hydro axle RA2590 Hydro has a transport height of less than 4.0m, even without detaching the tine arms, which is also the case for RA2580. A ComfortKit is optionally available for RA2580 and standard on RA2590 Pro. This includes a handheld joystick control, where the height of each rotor is controlled electronically and shown on the screen of the control box.